quality of life for Native families. Tribe Housing and OST Renewable Energy Program among others. 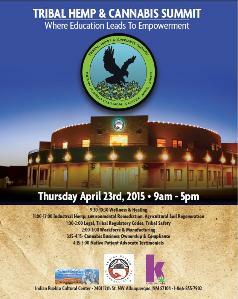 first Tribal Hemp & Cannabis Summit at the Indian Pueblo Cultural Center in Albuquerque, NM April 2015.